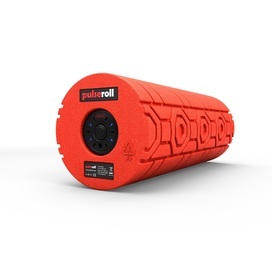 Pulseroll have revolutionised the way we look at training and recovery. 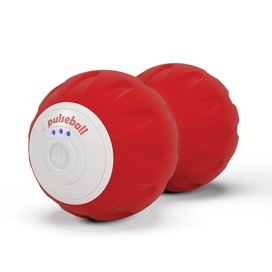 Pulseroll have developed the UK’s first vibrating foam rollers, which come in two sizes with 4 powerful speeds & a smaller 3-speed Peanut shaped ball. In a short time Pulseroll have become the official suppliers to GB boxing, British Weightlifting, England Handball and Loughborough Sport. Pulseroll now bring the benefits of vibration and myofascial release to elite athletes and fitness professionals all over the UK & Europe. Pulseroll now see the need to educate and bring the latest technology to instructors and have now developed, working with industry leaders, a brand new one day training course which covers the full range of benefits and best practices for using the roller yourself, in a class and in a professional setting. 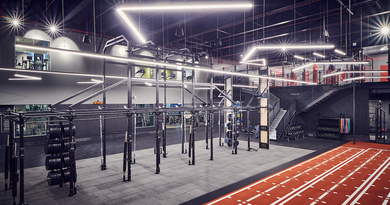 The high demands in training, sport and a busy lifestyle can take its toll on the body. Lower back pain, shoulder pain, sciatica, frozen shoulder, plantar fasciitis and knee pain are among the symptoms that we are all too familiar with yet still struggle to manage from day-to-day. Often waiting to see a physiotherapist while in pain can be very uncomfortable wait plus the expense can become stressful, this is an important underlying factor why so many injuries are left untreated. When vibration and compression are used together this can benefit the user by quickly warming muscles, activating muscles tissue, boosting circulation, and decreasing DOMS form intense exercise. only breaks down tight muscles in a single area it also helps break down tissues in surrounding areas making the effects more widespread than traditional rollers. Considering these factors it means that the rolling up and down is not as necessary the result would be need less room needed, and perfect for people who have mobility issues or injuries. Heat – Vibration is a form of movement and movement creates heat. We all know having warm muscles is a major benefit before exercise, a run outside in the cold or even stiffness from a hard week of training and exercise. Time- Using a traditional foam roller moving from place to place rolling takes time. On average 20-30mins of foam rolling for it to be effective. With Pulseroll products maximum speed of 4000 rpm, this considerably cuts this time and after 3-4 minutes of continuous use, users have reported to feel a big difference in mobility and flexibility. There are many more benefits of using the rollers and peanut ball for the full range of benefits and information please look on our website, www.pulseroll.com and follow us social media.